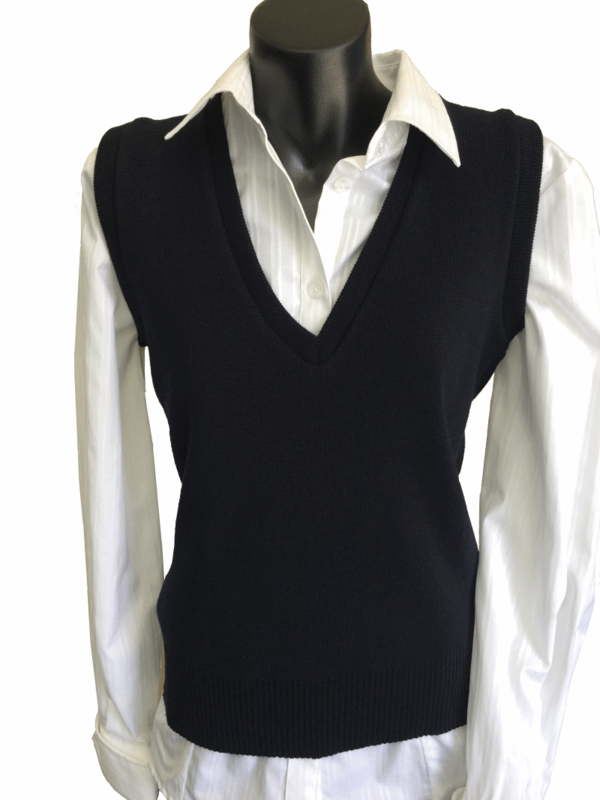 Ladies Glen Mill® lightweight vest 80% pure wool / 20% nylon. Our lightweight fitted vest is smart and versatile. It can be worn with a little something peeking out from the neck line or over a blouse or shirt. It looks great under a jacket or on its own. The vest is available in any of the standard corporate colours. 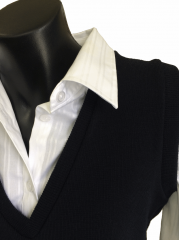 The vest in the picture is a flat (plain) knit. The vest can also be knitted with 'drop stitch' pattern.